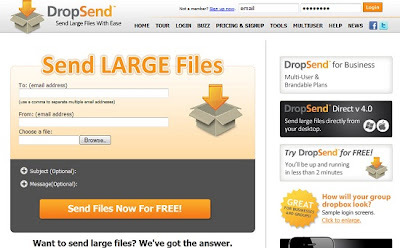 Practically if you are hosting a website or say you want to share the large files to your remote friend, you can hardly do it by E-mail attachment where you can upload files up-to 50-60 Megabyte. What if you want to share a DVD ISO or say large project. You can do it via creating torrent and share it. But this is too late and lazy process. For the same reason Intelligent Computing has compiled the best Websites to upload and share large files among your team, friends or even public. 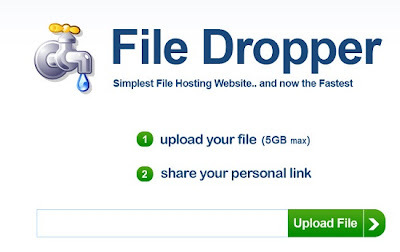 File dropper is the one of the easy way to upload and share the large files among the people in your life. It provides you to upload your files up-to size of 5 GB. This is one of the easiest ways to share the files via E-mailing, not really as attachment but the location. This site allows you to send the file up to 2 GB. 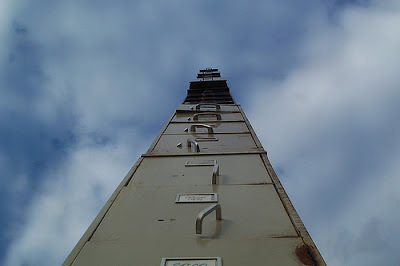 No need to manage bulks of file on cloud. It just meant for sharing. Create free account and you will get the 2 input field to be filled. Your E mail Address, receivers Mail Address and the file you going to share. Just upload the file and receiver will get the mail containing the link to download that file simple. As you can see on interface user can add the Subject and Additional message along with the file to inform something about the file. The most familiar well known and most connected website for sharing all type of the files across the globe. Used by thousands of people and supported on 100s of device to sync the local file to the Dropbox cloud files. This allow user to upload multiple files, organise them on cloud and share them either privately or publically. 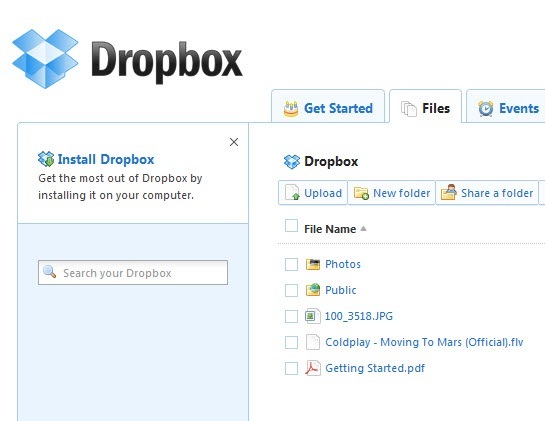 There are 1000s of apps and tools available for almost all the Smartphone and tablets to connect the device to dropbox. Free account on DropBox support 2 GB of storage, Pro50 has 50 GB, pro100 has 100 GB and team account has 1TB+ storage options. On the dashboard of the site you can simply create and manage folders organise the different files and folders over cloud. I would consider this as the perfect online site to share the files in the closed circle like friends and family. This site doesn’t allow you to share the file among public via a link. 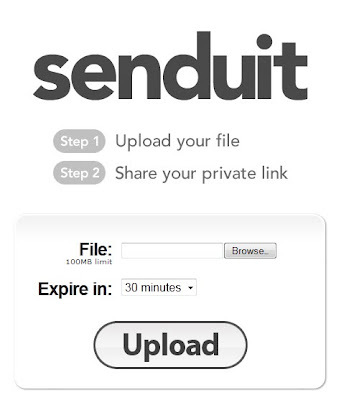 You have to share them as link or another SendUIT account Just like Google Docs. Another thing you can find on the site to maintain the privacy is that your file will be deleted automatically after a certain period of time. That means while uploading the file you have to set the sharing period and select the Expires in time from 30 minute to 1 Week. You are not allowed to store the file here for infinite time. The link generated will be private and expire after the selected time. It’s another website for sharing the files up to 2 GB to your friends and family. Setting up the new account will take only few seconds and after that you can save the 2 GB data online which you can share after uploading via short link generated. 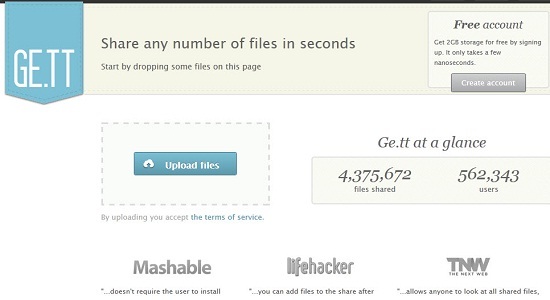 Not only this, you can even share your files and images on the social network like Facebook Twitter and Google+. I had focused on sharing of files mainly and i got these sites, these may not be suitable for storing the file on cloud and if you know another sites should have been considered, please add your option too by commenting below.